I realized we hadn't had a header image by co-administrator Michelle Hryvnak Davies in a while, so I asked her if she had any pictures we might use. She sent me three of her "Sweet Valley Sunrises" images. While they were all beautiful, the one that I picked for the header blew me away: the shadows, the fog, the crepuscular rays, the overwhelming brightness of the rising sun that makes me squint every time I look at this picture. Do you have an image you'd like to see used as the NEPA Blogs header for a week? Send it to us at nepablogs@gmail.com! 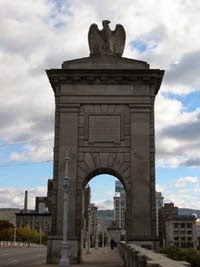 Scranton is a city full of artistic and creative people, and it is inevitable that in such a place there will emerge gathering spots for those artistic and creative individuals. The AFA Gallery - the letters stand for "Artists for Art" - was founded in 1988 to serve just such a purpose. The AFA Gallery's goal, according to their "About" page, is "to promote the appreciation of the visual arts, and to provide support for regional visual artists." In addition to mothly exhibitions the AFA Gallery also hosts the Tuesday Night Life Drawing Group, and the "Drawing Social," a drawing session accompanied by live music. 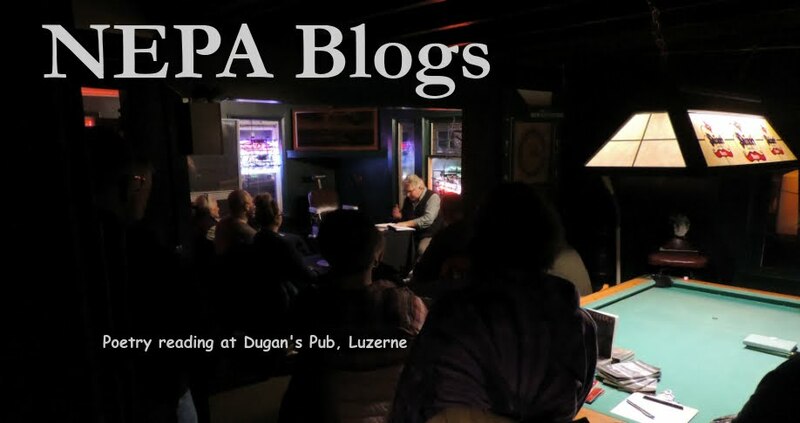 The AFA Gallery blog is a way of keeping the public informed of events - not just at the AFA Gallery, but art events throughout Northeastern Pennsylvania. More than just a static website, the AFA Gallery blog allows information to be presented in a way that fully engages the reader. 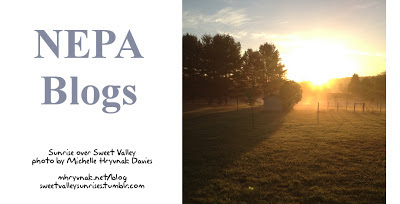 If you're an artist who lives in Northeastern Pennsylvania, you should definitely check out the AFA Gallery blog to see all that they have to offer. And then perhaps find your way to the AFA Gallery itself to experience it in person! The AFA Gallery is located at 514 Lackawanna Avenue in Scranton, Pennsylvania. Our header image for this week comes from Don Williams, who blogs at (and is) the Susquehanna River Sentinel. This is an image from a post from March 2012 from an earlier kayak journey on the Susquehanna. If you're not familiar with Don's blog, or if you're not familiar with all the Susquehanna has to offer, or if you're not familiar with all the things that threaten not just the Susquehanna, but clean water statewide, you should definitely check out the Susquehanna River Sentinel! 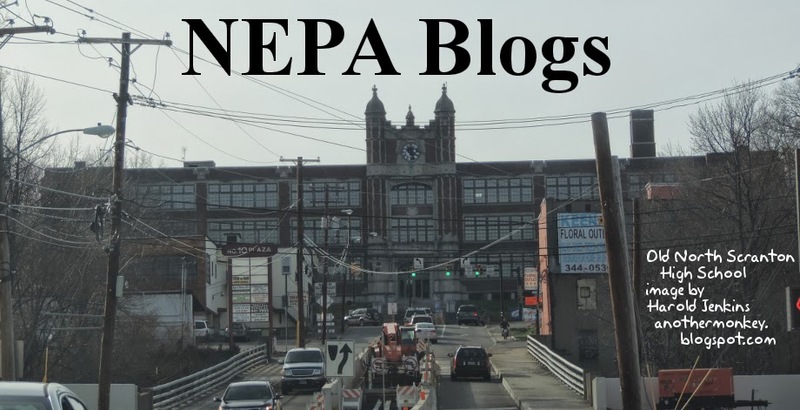 If you have an image you'd like to see featured as the NEPA Blogs header for a week, send it to us at nepablogs@gmail.com! Our PA Live! Blog of the Week this week is 570 Mine Fire by Bill Thomas. "Independent music is like a mine fire," Bill Thomas says on the sidebar of his blog. "It’s always there. Burning underground. Just because you can’t see it doesn't mean it isn't there. And no matter what you throw at it, you can't snuff it out. It’s damn near impossible to kill." 570 Mine Fire is a blog about independent music. 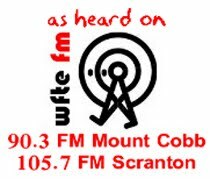 Not just independent music in Northeastern Pennsylvania, or even within the 570 area code, but independent music from throughout Pennsylvania. Since July 2012, Bill Thomas has been reviewing albums, interviewing local musicians, and keeping his readers up-to-date with goings-on in the local music scene. Through his blog you can learn about bands you might never have heard of otherwise. Thorough his blog, bands can get exposure to listeners who might never have heard of them otherwise. If you're interested in local independent music, 570 Mine Fire is an excellent resource for you. And if you're an independent band from Pennsylvania, a mention on Bill's blog can get you valuable exposure. Check out 570 Mine Fire and see what he has to say! 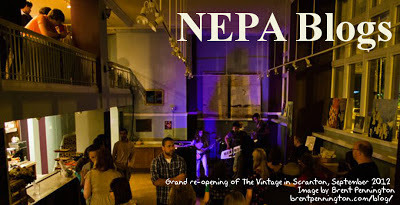 The header image comes to us this week from photographer Brent Pennington, and is from the grand re-opening of The Vintage in Scranton last September. The Vintage, located at 326 Spruce Street, is Scranton's premiere art space and performance venue, and is also this week's Blog of the Week. See there for much more information. The Vintage is also currently putting on its first staged production - an event so large, it had to be relocated to the theater next door! Tickets are still available for the 1960's-style re-imagining of Jane Austen's "Pride and Prejudice!" Be sure to check it out! 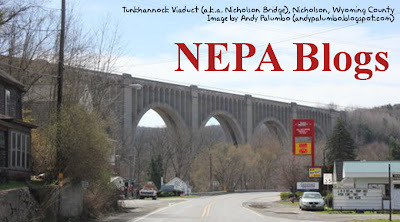 If you have an image that captures some of the unique character of NEPA, send it to us at nepablogs@gmail.com and we'll use it as the image header some week! Our PA Live! Blog of the Week this week is the blog of The Vintage in Scranton (http://scrantonsvintagetheater.com/blog/). With all of this going on, it's important for The Vintage to be able to communicate these events to the world. One of the tools that they use to do this is their blog. The Vintage blog is a simple but effective way of letting the world know the basics: what, where, and when things are happening at The Vintage. 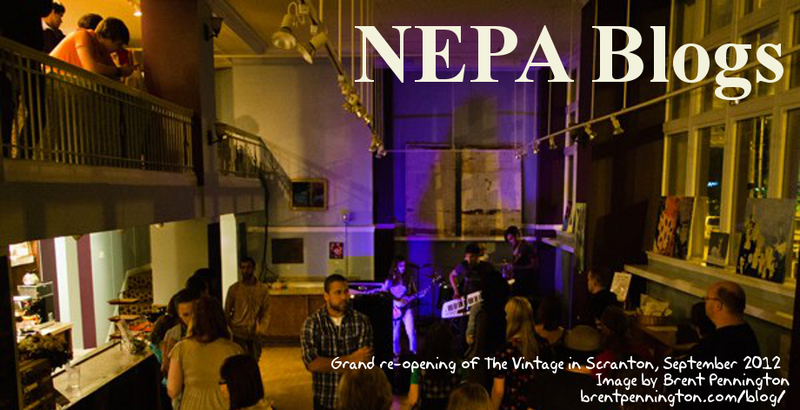 From music performances to craft workshops and art exhibits, The Vintage blog lets you know what is going on in Scranton's premiere art space! The simple, user-friendly interface of The Vintage blog demonstrates why blogs are one of the best choices for businesses large or small to connect with their customers. When your business is an art space and performance venue, it's important to be able to do more than simply sell a product - and blogs are more than up to the task. Whether you own a business or curate a gallery, consider using a blog to make that critical connection with the people who will make your endeavor a success! Spring is here! Though some days, it feels like Summer is already here, too. 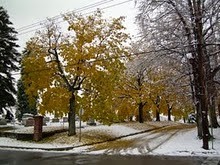 Do you have images that capture the natural or man-made beauty and uniqueness of Northeastern Pennsylvania? 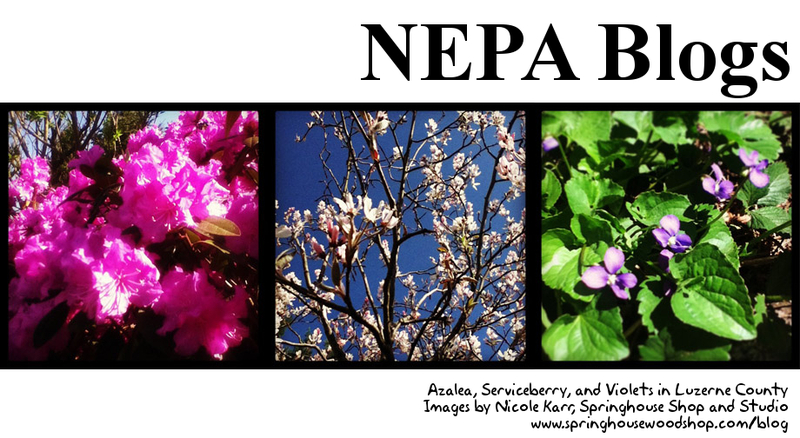 Send them to us at nepablogs@gmail.com and we'll use them as the header of the week! Our PA Live! 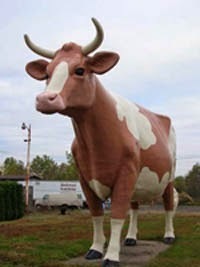 Blog of the Week this week is the NEPA Geeks Geek Blog (https://www.nepageeks.com/blog/) by Dale Culp and Jason Percival. If Dale and Jason seem somehow geekishly familiar, perhaps its because they're two of the folks behind the Growing Up Geek Podcast. While that blog/podcast is a lot of fun, focusing on technology, entertainment, and all sorts of geekery, the NEPA Geeks Geek Blog is actually a somewhat more serious blog, an extension of the NEPA Geeks computer repair service located at located at 108 N. Mountain Blvd Suite B, Moutain Top, PA. It's technically a "small business blog," but the content might make you think that Jason and Dale want to keep your computer out of the shop! It's full of really useful information on how to keep your computer in top condition and how to prevent problems before they happen. But if you really need their help, they're there for you! If you own or use a computer or mobile device - and if you're reading this, that's a pretty safe assumption - you should definitely check out what Jason and Dale have to say on the NEPA Geeks Geek Blog. Even if you don't need their repair services at the moment, their blog is loaded with information that will help you keep your system up and running. And if you own a business, maybe you should consider a small business blog as a way of defining your business and connecting with current and future customers! Choose to take this action. Choose a clean world. I Choose A Clean World is a project of the Gas Drilling Awareness Coalition (GDAC), Luzerne County, PA. In a world where finite energy resources are dwindling, and methods use to extract the little that is left is causing more harm than good, GDAC is taking steps to make people aware of real sustainable energy. Each of us needs to make a choice – to continue down the path of dirty fossil fuels, or to stand up and choose a clean world. We can clean up our world, the first step is in choosing to do so. Take a moment to breathe in the fresh air and then check out "I Choose a Clean World" which is now added to our sidebar. 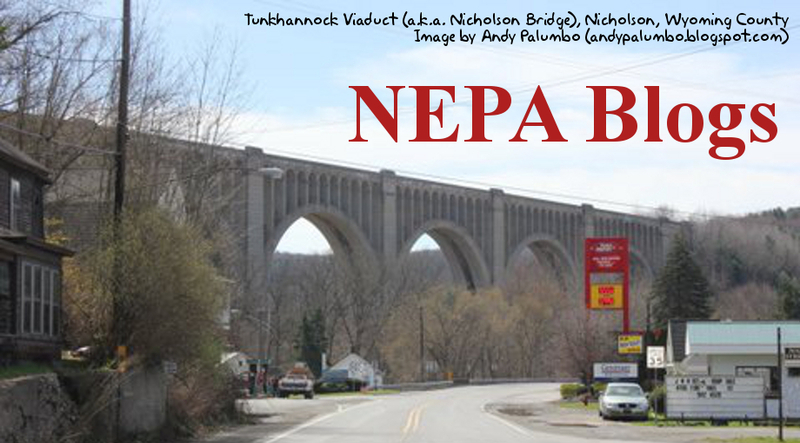 This week's header image comes to us from journalist and blogger Andy Palumbo (http://andypalumbo.blogspot.com/) and is of the Tunkhannock Viaduct, also known as the Nicholson Bridge. This bridge is considered an engineering marvel, and even has its own web site. 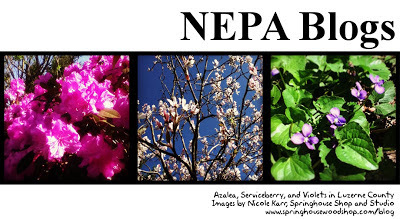 Submit your photos of Northeastern Pennsylvania to nepablogs@gmail.com and we'll use them as headers some week on NEPA Blogs!